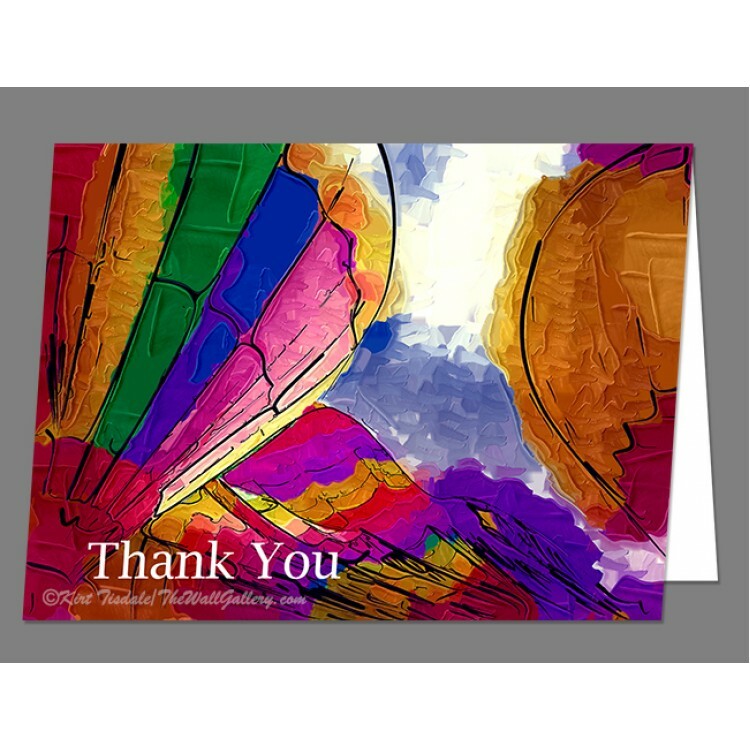 Artist Statement: The Thank You cards were created using my original art prints as a basis for the card. 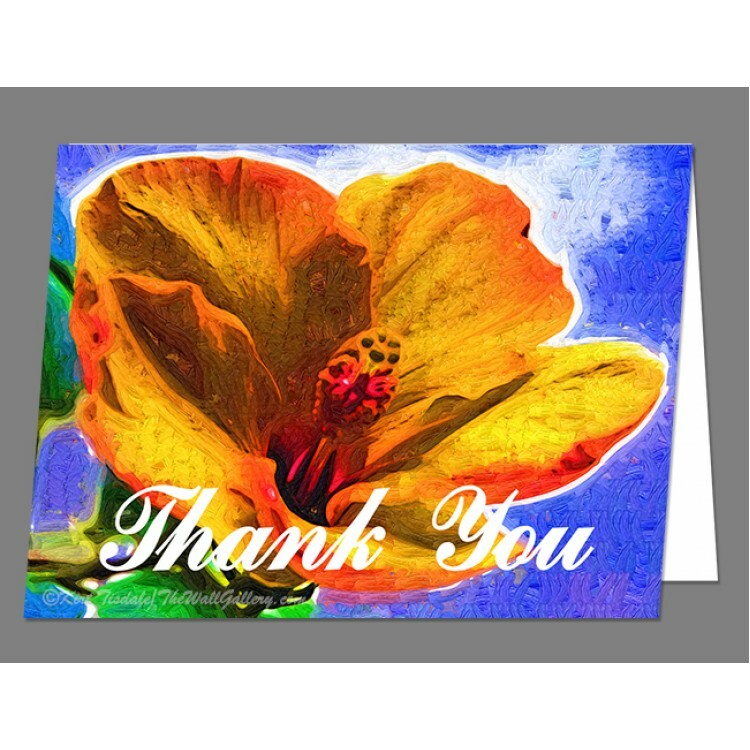 My approach to picking the prints for each card was looking for something that I thought would be interesting to send and receive. 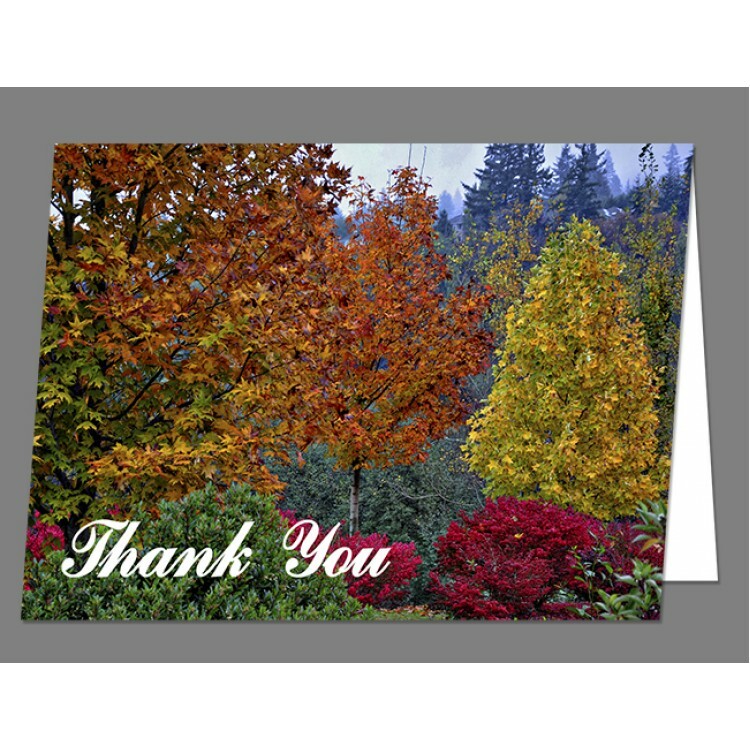 I tried to have a representation of various styles and looks to give an assortment to choose from. 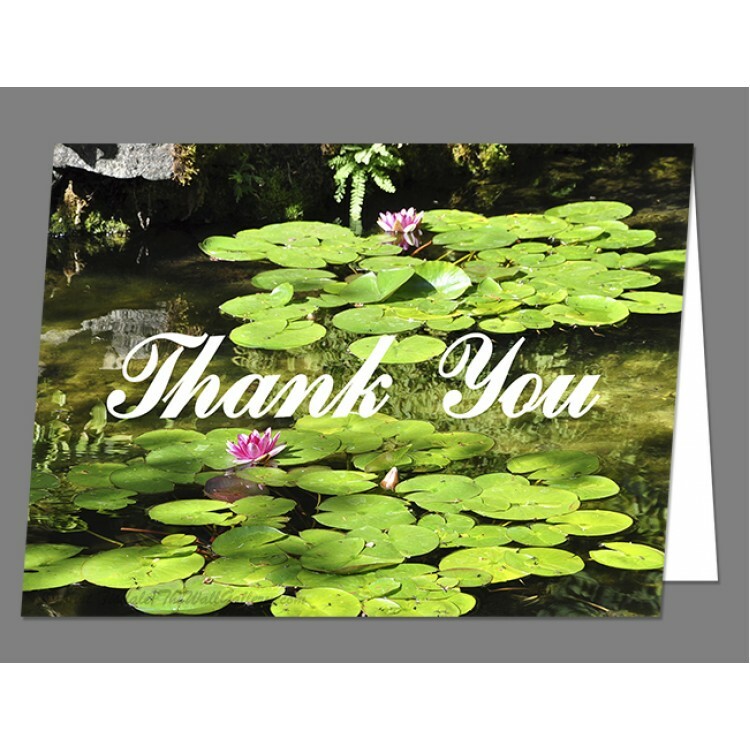 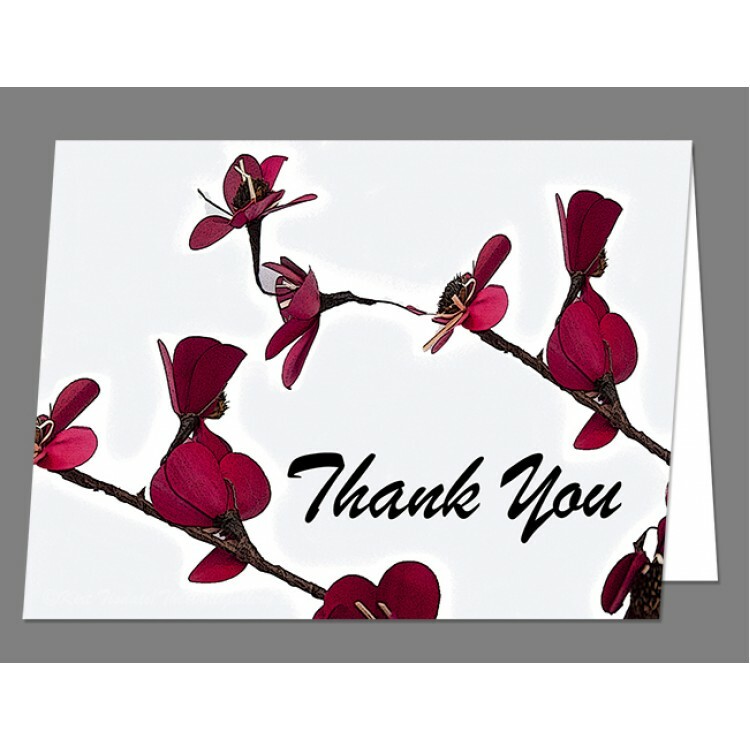 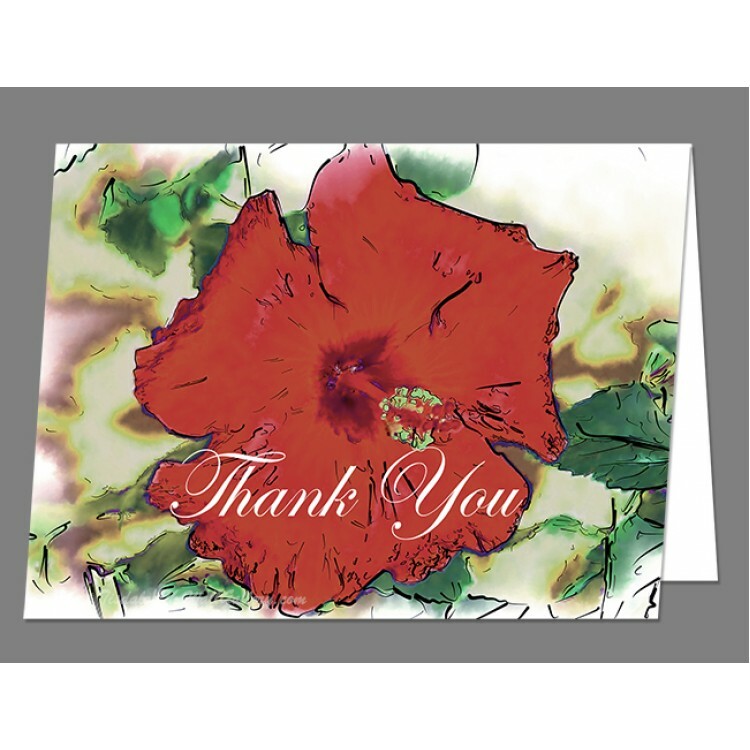 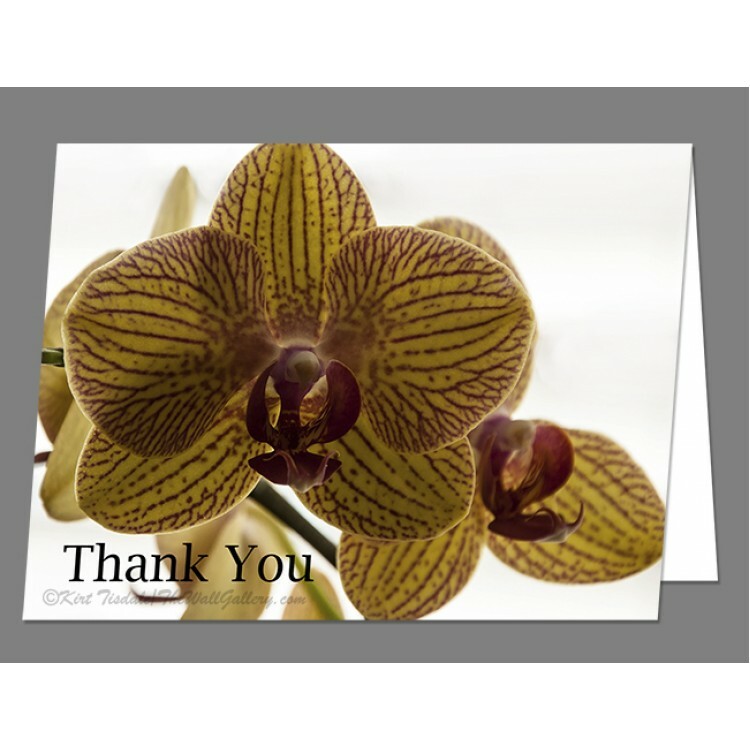 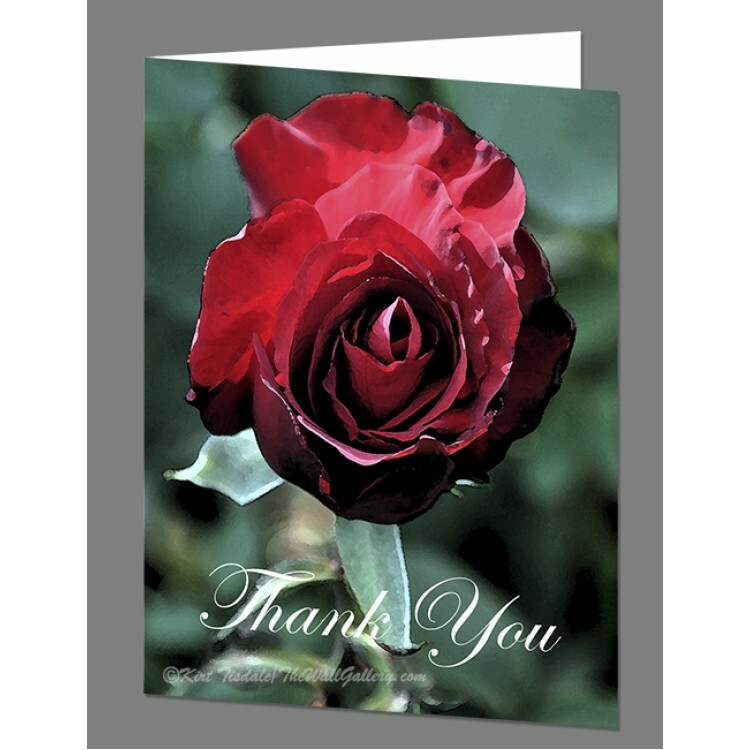 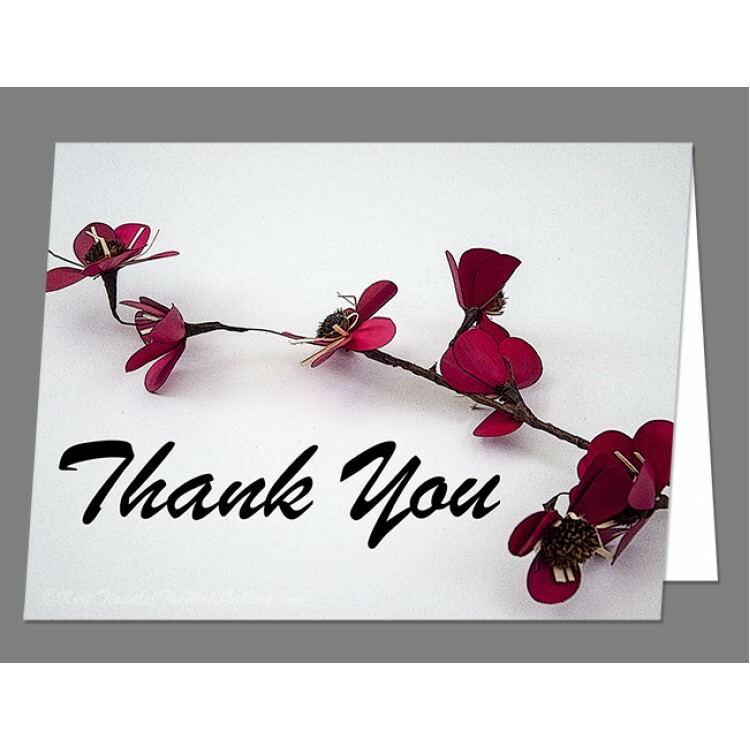 The Thank You cards are printed on white matte card stock and measure 4” X 5.5”. 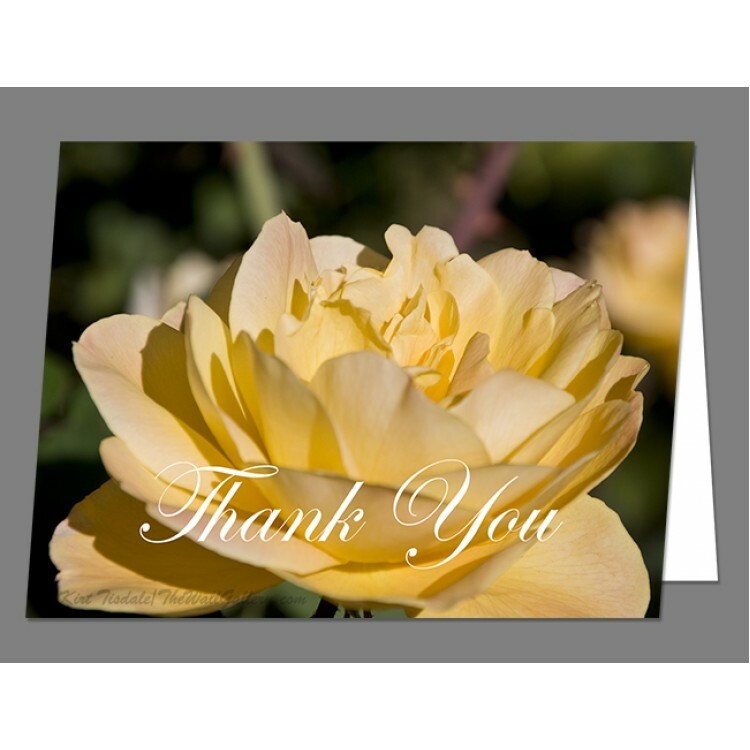 They are folded cards with the inside left blank for your own personalization. 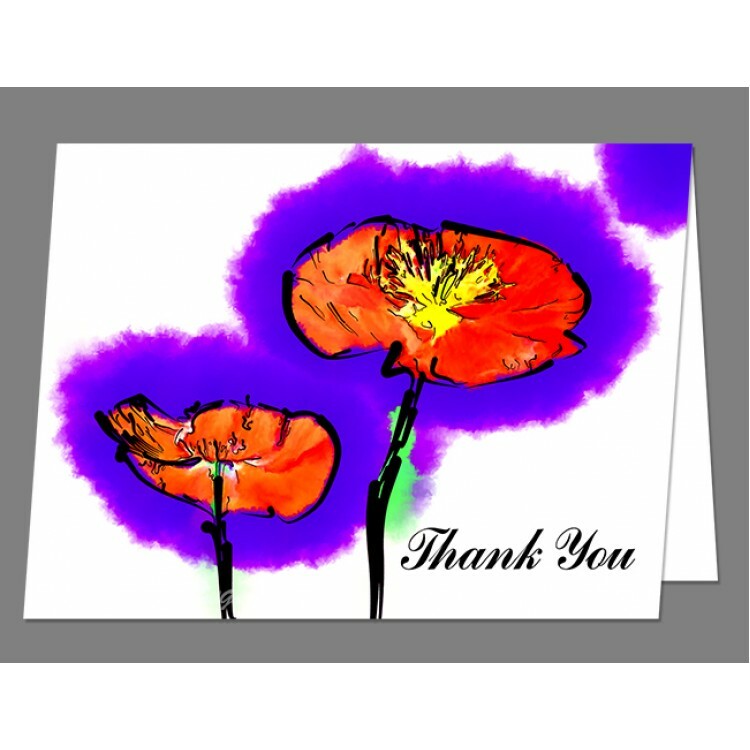 I would also like to note that all standard size prints throughout the various galleries are also offered as Note Cards, with the art print on the outside and the inside left blank for personalization. 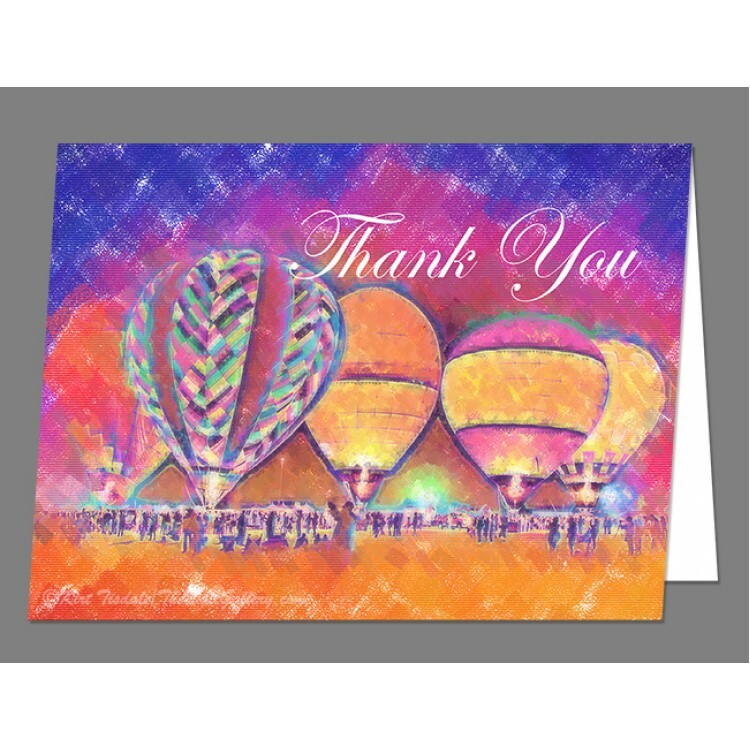 Dainty Red Single Stem Thank You Card This set of cards has a copy of one of my original..
Dainty Red Double Stem Thank You Card This set of cards has a copy of one of my original..
Triplets Thank You Card This set of cards has a copy of one of my original works on the f..
Five Glowing Hot Air Balloons In Pastel Thank You Card This set of cards has a copy of ..
Red Poppies Thank You Card This set of cards has a copy of one of my original works on ..
Red Hibiscus Bloom Thank You Card This set of cards has a copy of one of my original wo..
Orange Hibiscus Bloom Thank You Card This set of cards has a copy of one of my original..
Lily Pads Thank You Card This set of cards has a copy of one of my original works on th..
Fall Color In The Woods Thank You Card This set of cards has a copy of one of my origin..